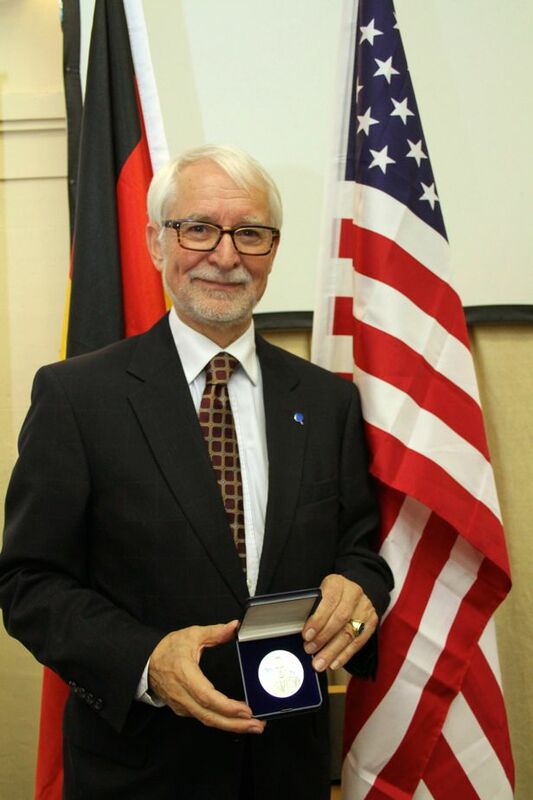 The FGAC presents its highest award, the General Lucius D. Clay Medal, yearly to German or American personalities who have contributed greatly to the development and strengthening of German-American relations and friendship. 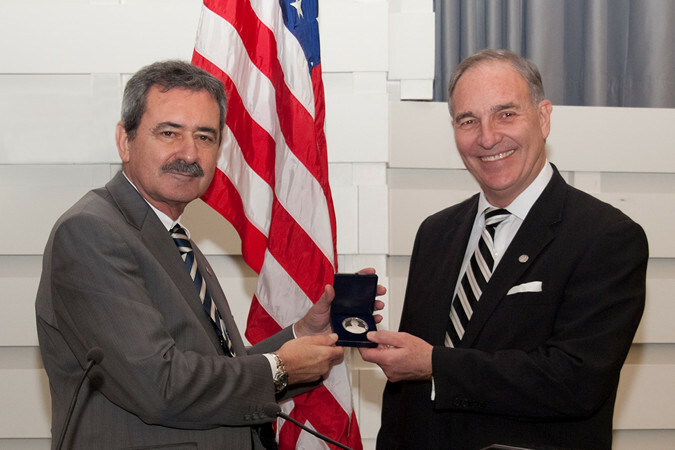 The Medal was first awarded in 1980 in honor of General Lucius D. Clay, one of the founders of the Federation of German-American Clubs. Lucius D. Clay had previously received the Konrad-Adenauer-Prize and donated that prize, 32,000 German Marks to the Federation. The round, silver Medal has the likeness and the name General Lucius D. Clay, as well as his dates of life, on the front side. 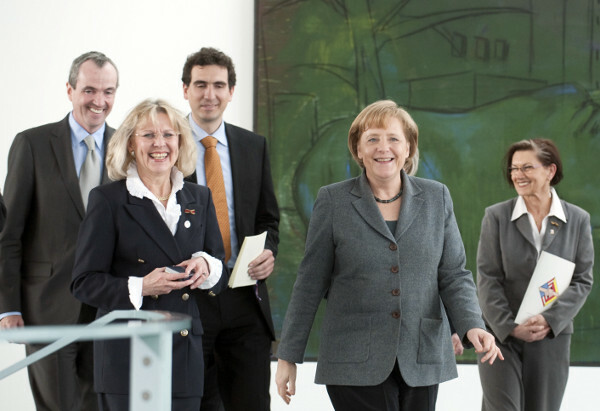 The backside carries the inscription “For outstanding contributions to German-American friendship”. 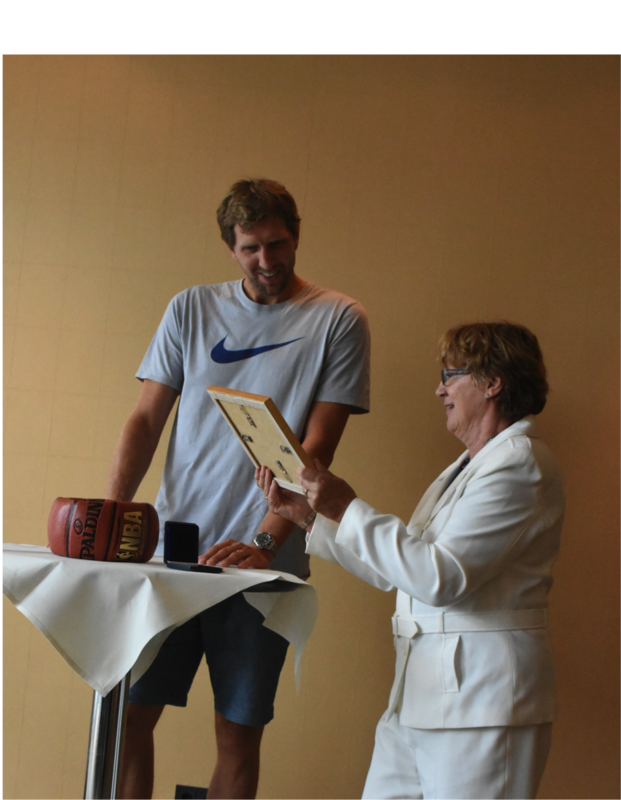 The Medal is awarded yearly as part of the celebration of German-American Day by the President of the Federation of German-American Clubs. Lucius Dubignon Clay (April 4, 1897 – April 16, 1978) was appointed as General Dwight David Eisenhower’s deputy in 1945. From 1947 to 1949 he was the military governor of the U.S. occupation zone in Germany. General Clay ordered and organized the Berlin Airlift which began on June 24th, 1948 and lasted more than 15 months. Because of his experience and his support for the young Federal Republic of Germany, President John Kennedy made General Clay his personal advisor on Berlin questions in 1961 and 1962. 2016 Friedrich Merz, Chairman Atlantik-Brücke e.V.